Public affairs professionals who seek to inform, persuade and defend their clients’ interests would be wise to think like a lawyer and write like a journalist, activating both the right and left sides of their brains. Legal writing can be, for lack of a better description, legalese – stilted, ponderous and opaque. However, behind all that seeming pomposity is a clear way of thinking centered on facts, corroborated evidence and credible sources. Writing for general public consumption, as journalists do, requires a more comfortable, inclusive style, using words that are commonly understood, phrases that paint pictures and sentences that convey a point with clarity. The best of both worlds is when writers think like lawyers and write like journalists. Thinking like a lawyer and writing like a journalist is an example of activating both the left and right sides of the brain. This is how public affairs professionals should communicate. Thinking like a lawyer doesn’t have to crimp your writing or speaking style. Thinking like a lawyer can add order and authority to what you write. Thinking like a lawyer can narrow the focus of what you write and sharpen your key messages. Thinking like a lawyer can make your argument more believable and persuasive. Training to become a lawyer involves learning how to conduct research, interpret the law, build a case and defend an interest. Those can be valuable insights for public affairs professionals as they write advocacy pieces, op-eds and testimony that seek to inform and persuade. A key principle in legal thinking is establishing a solid foundation for assertions. Legal thought can be fairly portrayed as rational, logical and linear. Facts aren’t Christmas tree ornaments; they are building blocks. Arraying facts in support of a position diminishes ambiguity, provides clarity and creates confidence in what’s being asserted. This is exactly the job description of public affairs professionals. Public affairs professionals don’t do their job in front of judges. But they in effect do their jobs in front of juries that may be neighborhood associations, interest groups or townhall meeting audiences. Orderly presentations conveyed in plainspoken language and accompanied by credible written or visual evidence can convince juries in a courtroom – and “juries” anywhere else. Another useful trait of legal training is understanding the value of dialogue and learning by listening. This is must-have skill for successful public affairs professionals. Legal training has drawbacks for communicating broadly. Lawyers tend to downplay emotive forces, overlook creative options and ignore inspirational themes. Those may have little place in a courtroom, but they have a definite place in the court of public opinion. In their writing, journalists report on topics evoking emotional and inspirational responses. They look for creative way to tell their stories. There are lawyers who are good writers and effective speakers. They understand the powerful combination of legal thinking and journalistic writing. Public affairs professionals should emulate that same combination to inform, persuade and defend their clients’ interests. Failure isn’t the opposite of success. Failure is often the guiding light to success, including in public affairs. There rarely is a straight path from A to B. There are often ditches, detours and dead-ends. It takes self-confidence to weather failure and reach success. Failure doesn’t make someone a loser, but history shows failure can lead to success. Exactly what is the chemistry that converts an ounce of failure into a pound of success? Some failures produce unexpected success, such as the discovery of an unintended use of a substance or process. Some of the most gainful inventions were actually accidental successes. Google Post-It notes for a good example. Stumbling from failure to failure isn’t exactly an inviting prospect, especially in a field such as public affairs. Clients expect public affairs professionals to “fix” their public issues, not fumble them. A large part of the chemistry to turn failure into success is mental attitude, including the self-confidence to accept failure as merely a detour on the road to success. Failing to fix a client’s problem can be humiliating and demoralizing for public affairs professionals, who pitch clients on the prospect of victory, not consolation prizes. Good public affairs professionals win more than they lose, but everyone loses sometimes. The image of a public affairs professional as a “fixer” isn’t useful – or usually accurate. Yes, public affairs professionals, if they are worth their fee, have relevant experience, good contacts and a huge dose of savvy. If they really know what they are doing, they will focus their attention on what they don’t know before spinning out a strategy. In this sense, the discipline of public affairs is a lot like a scientific experiment. You need to test your hypothesis and let the results guide your actions. Testing the waters might take the form of talking with trusted sources, closely reading media coverage, consulting with legal experts or conducting research, often via one-on-one interviews. A client may have a clear understanding of his or her public problem. The public affairs professional’s responsibility is to develop a clear direction to address that problem. The solutions to most public affairs challenges aren’t as simple as stepping from A to B. The chance for strategic missteps or detours is high. Failure at one turn can’t be construed as total disaster. Sometimes a failure is the light post to the pathway to success. Success for a public affairs professional is seldom a hero’s walk. More often, success involves deep questioning, a realistic objective, a strategic plan and thoughtful execution of that plan – with eyes wide open for ditches, dead-ends and detours that require a modified route. Patience is a virtue. The chemistry of success boils down to self-confidence in finding a way that works, regardless of how many twists and turns it might take. Getting to success doesn’t have to be smooth, simple or pretty. You just have to keep trying to get there. For many it is hard to accept that subtracting details can result in greater results, but that’s the reality of how simplicity teams with creativity to produce easy-to-grasp, compelling storytelling. It even works in the field of public affairs. If necessity is the mother of invention, then simplicity is the father of creativity. That’s certainly true in the world of public affairs. Creativity through simplicity in public affairs is not an exercise in dumbing down a subject. It involves the thoughtful reduction of details to reach the essence of a subject so it is instantly recognizable and compelling. The end result may be a creative argument, snappy catch-phrase, strategic plan or clever solution to a vexing problem. The result also could be as basic as unraveling the “complexity” manufactured as a smokescreen by opponents. Representing industrial energy customers several years back, I and others lobbied for an admittedly complex measure to allow manufacturers that use large amounts of electricity to purchase energy from a non-utility provider. Utility opponents managed to scuttle the legislation by calling it too complex. The flipchart walked through how electricity is distributed, explained why large industrial customers were often electricity generators and outlined the specific provisions of the bill. The debate shifted from complicated, confusing details to the merits of the legislation’s key provisions, which included investments in energy conservation and efficiency. The bill passed easily with strong bipartisan support. Infographics are a perfect example of simplicity and creativity working in tandem. The first infographic shows the effect of three pieces of legislation on a wine bottle label. 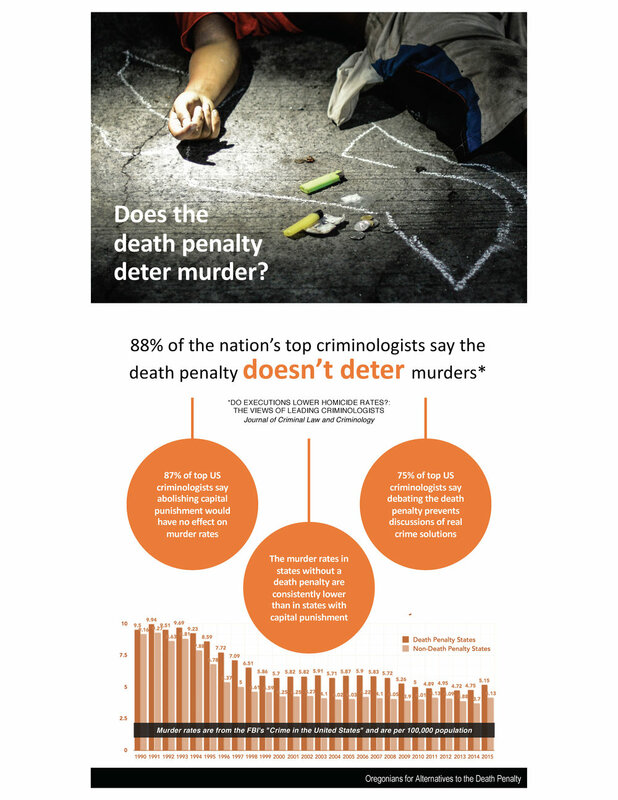 The second debunks the idea that the death penalty is a deterrent to murder. Both convey a lot of information in a small amount of visual real estate, leaving no doubt about their key messages. Conventional wisdom may reject the notion that subtraction is creative. Clients usually want ‘more’ options, more details, more justification rather than ‘less’ complication and confusion. They want to throw mud against the wall to see what sticks. They can’t conceive that simplicity is the creative key to unlock understanding. The phrase “making ideas take shape” is uncannily on point to describe the path from simplicity to creativity. The “shape” can be an image, a chart or a well-turned phrase, but it has a readily accessible form, something familiar that human brains can digest and file away. Infographics have earned popularity by saying a lot simply and visually. They can illustrate a key point, sequentially walk a viewer through an issue or show how something works. This “show me” approach to information-sharing is a perfect example of creative simplicity. People have complex mental capacities, but they absorb information in relatively simple, elemental ways. Conveying information in an elemental form improves the odds that the intended audience will receive and bank your message. Creativity can be clever. However, just as often creativity is useful and practical. By focusing on the one thing that is most important, we uncomplicate a subject for an audience. The ability to simplify eliminates the unnecessary so the necessary has space to speak. You create clarity out of chaos. Your best creative tool is curiosity. Do more than see what is going on around you. Observe it carefully and learn how the simplest things can convey rich meaning creatively. Making something complex seem simple takes hard work. You better get started. ‘Just Do It’ is the iconic slogan for Nike. Clever phrases are common in marketing, but less so in public affairs where they could help simplify complex issues with words that woo the ear and stick in the brain. Word Jazz. The Curse of Cash. Lord of the Flies. Each of these catchy titles evokes a mental picture by wooing the ear. Through startling juxtaposition, clever alliteration and logical incongruity, these titles have become earworms that reinforce the resonating power of carefully crafted phrasing. Brand marketers definitely appreciate the value of clever phrases, but strangely public affairs professionals have been slower to embrace them. In truth, it is no harder – or easier – to simplify a complex public issue than it is to project an image of a brand personality. The Willamette Valley Wineries Association is asking the 2019 Oregon legislature to approve a suite of three bills that deal with wine labeling. Like most legislative issues, there are lots of details. But to capture the reputational importance of the legislation, WVWA says, “What’s on the label should match what’s in the bottle.” Simple. Direct. Unarguable. Clean Water Services has earned awareness for its advanced water purification technologies through its clever Pure Water Brew Challenge that invites brewers to create tasty beers literally from bath water. Clean Water Services sponsors the Pure Water Brew Challenge to highlight its water purification technology – and remind people of the value of water re-use. The idea has caught on as water agencies in other states are staging similar bathroom-to-beer fests. The Oregon State Treasury wanted a name and tagline that instantly described its new state-sponsored retirement savings program for workers whose employers don’t offer a plan. Treasury’s PR team came up with “OregonSaves” and the tagline “Work hard. Save easy,” which conveys the convenience of saving for retirement through automatic payroll deductions. This isn’t glibness for glibness’ sake. Clever phrases do a favor for target audiences by condensing meaning to a memorable few words – an earworm that wiggles deeper into their brains. More important, an ear-worthy description of a measure is the best defense against opponents who will try to smudge up the situation. Voice talent extraordinaire Ken Nordine, who died last week, created the phrase “Word Jazz” for his 1957 album of beat poetry and then turned it into a defining title for a radio program that lasted for 40 years. The phrase accurately described his legendary voice, which included coaching Linda Blair for “The Exorcist,” the Grateful Dead and David Bowie. Word jazz emerged as more than a title and has become an emblem for a kind of evocative speech. The phrase is too rich to die. Sometimes clever phrases pop into mind, seemingly out of nowhere. 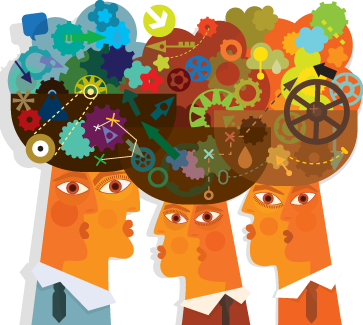 More often, they are the product of hard thinking, creative collaboration and trial and error. [Nike’s slogan grew out of a brainstorming session and was a takeoff on the last words of a convicted murderer.] Whatever the route, clever phrases can mean the difference between wowing an audience and making an audience yawn. Old skeletons in the closet is an especially hard crisis to combat, largely because politicians, celebrities, corporate executives and nonprofit leaders are loathe to poke around for past indiscretions or embarrassing views, so they are poorly prepared to respond when the skeleton tumbles out of the closet onto social media. The chaotic state of political affairs in Virginia is a good reminder that skeletons in the closet have a nasty habit of popping their head out of the door. Closet skeletons are a dimension of crisis preparation that is frequently overlooked in the mistaken judgment that what happened long ago will never be uncovered. As Virginia Governor Ralph Northam, Virginians and the rest of America who pays attention to the news have discovered, that’s just not true. An obscure medical school yearbook picture can come back to haunt you. An old skeleton liberated from the closet is an especially hard crisis to combat, as Northam’s fumbling reaction illustrated. It is like an ambush interview on steroids. You have to address the unexpected surfacing of the skeleton and be judged on how you handle the surprise. As with any other crisis, being surprised is a big problem in responding credibly. To err is human, as Alexander Pope observed, and to forgive is divine. The trouble is the vast majority of people need a reason to forgive. The unprepared politician, corporate executives , celebrity or nonprofit leader is ill-equipped to ask for forgiveness. Being prepared doesn’t guarantee forgiveness, but it helps. Rummaging around in your past life in search of old skeletons may be uncomfortable – and unsettling for family members, friends and colleagues. But discomfort and private embarrassment seem like a small price to pay in the face of public disgrace. People running for public office should conduct thorough personal audits to identify any problematic skeletons in their past – or present. They should start by listing the transgressions before leaping to justifications. This is not really all that much different from a candid and thorough issue audit organizations should undertake to prepare crisis communications plans. The main difference is ranking probability. The owner of a skyscraper should consider an elevator accident in an issue audit, but probably doesn’t need to worry all that much about an elevator crashing into the basement. Political candidates and officeholders can’t discount anything, as Northam’s yearbook page attests. The emphasis for candidates and officeholders is to brainstorm how to respond if their skeleton is exposed. Changing times and norms have made behavior tolerated in the past intolerable in the present. In reality, sexual abuse and racial insensitivity were never okay. Victims were ignored or even punished. What’s really changed is that the spying eyes of social media make it harder for perpetrators to laugh off their bad acts. Victims have the tools to expose and punish them. Like it or deplore it, you would be smart to prepare for it. Closet walls aren’t what they used to be. Idioms can be great verbal short-cuts, communicating a lot with a few words. They also can confuse or distract an audience unfamiliar with pithy phrases that originated in the past when telephones had hooks, cars had cranks and only opium users had pipe dreams. Idioms can be an effective way to communicate a thought in a few pithy words. They also can be puzzlers that baffle some members of your audience, especially younger people. Many colorful idioms remain familiar in our everyday lexicon, even though their origins have been forgotten or blurred. Most contemporary Americans understand the meaning of idiomatic phrases such as “easy as a piece of cake,” “it’s not rocket science” and “shoot the breeze.” Only a few would know – or could guess – how the phrases came about. “Piece of cake” as something sublime and easy can be traced to an Ogden Nash poem; “rocket science” gained credence as the United States put a turbo-charge into its space program; and “shoot the breeze” dates back to the 19thCentury when “breeze” was slang for rumor. Shooting the breeze these days means casual conversation. The source of idioms may not matter as long as the current meaning isn’t too far astray of the original meaning. We talk about “twisting someone’s arm,” but really don’t mean actually twisting their arm, even though that’s likely how the phrase arose. What we mean to convey is a gentler form of persuasion. “Stabbing someone in the back” strikes a strong note of betrayal, not a death stroke. “Raining cats and dogs” is on its face a meaningless phrase, which we can have come to associate with a drenching rainfall. The phrase may actually be a perversion of the Old English word “catadupe,” which meant waterfall. The Old English word may have been a knock-off of the Greek expression “cata doxa,” which translates as something hard to believe. “Pipe dream” to modern ears translates as an improbable aspiration, not like the original mean of the hallucinations of people in opium dens. Technology has wrecked a lot of expressions, though some of them hang on in common use. Back in the day, we literally “hung up” phones and “dialed” phone numbers. With smart phones, we can hang up and dial with our voices. There are hundreds, if not thousands of idioms and colloquialisms, which are matched by a seemingly equal number of books about different kinds of idioms. Google “idioms” and see for yourself. When someone is sick, we often say they are “under the weather.” We’ve lost track of the phrase’s seafaring origin when the number of sick crewmen exceed the number of sick bays, forcing some ailing sailors to suffer out in the cold, rain or sun. We still refer to “rolling down” the windows in a car even though we push a button instead of turn a crank. “My neck of the woods” can be another puzzling idiom, in part because we think of necks as something to hold up our heads, not a small stretch of wood or marshy areas. “Thick as thieves” conveys to contemporary ears something vaguely collaborative, not the 18th Century meaning of “thick” that meant aligned in a conspiracy with criminals. The word “sucker” is part of a number of idiomatic phrases. The notion of gullibility fits with “a sucker born every minute,” but is slightly off key with the phrase “sucker punch” that is delivered to someone who isn’t looking or deserving of a blow. That should be enough examples to make speakers wary of relying too heavily on idioms. They should be even more leery of using colloquialisms that hail from discrete regions. Such as “table tapper” (amateur preacher, North Carolina); “slicky slide” (playground slide, West Virginia); “sewing needle” (dragonfly, Michigan); “spiedie” (marinated meat sandwich, New York); and “dope” (dessert topping, Ohio). In CFM’s media training, we encourage speakers and presenters to paint vivid and familiar word pictures to connect and resonate with audiences. Visual storytelling in the form of familiarity is a tried-and-true way to imprint your message on your audience. Idioms can play a role, but make sure it is positive role that builds understanding, not confusion. The English language is a marvelous treasure trove of words and phrases. However, many people aren’t students of language and range from befuddlement to anger when confronted with language they don’t understand or perceive as elitist. Your language, especially swollen in idiomatic expression, can infuriate audiences and make you seem out of touch or unempathetic. That doesn’t advance the object of your speech or presentation. The best advice you can get is to choose your words advisedly and wisely. Idioms can be a powerful ally as well as a puckish companion. If you want to use an idiom, study it carefully and understand the facets of meaning it can convey. Weigh the risks versus the rewards. Know your audience and put yourself in their seats. The goal of a speech or presentation should be too important to sacrifice at the altar of clumsily selected words and phrases. Indifferently employing an idiom isn’t worth alienating the rapport with your audience. 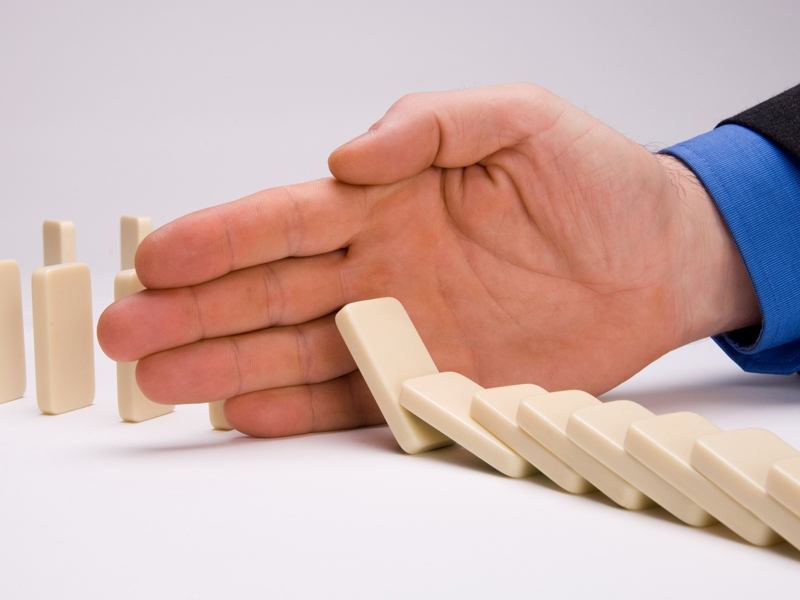 In a crisis, you lose control of events. You are forced to respond quickly. But you can only respond quickly if you have prepared to respond well in advance of an actual crisis. Time isn’t your side, but you can make saved time your most valuable ally by preparing for when a crisis strikes. Many crisis communications plans are larded with placeholder statements, which if used in an actual crisis would sound like platitudes or put-offs. Too few crisis plans include the elements of most value in a crisis – the elements that preserve time. The essence of any crisis is loss of control. The fire is burning. Social media is exploding. The phone won’t stop ringing. Time is not on your side. The best anyone can do is respond quickly. However, you can only respond quickly if you have prepared to respond quickly, if you have baked ways to preserve time into your crisis communications plan. You can’t bake anything into your crisis communications plan if you don’t have one. It’s surprising how many organizations lack a crisis communications plan of any kind, let alone a competent one. In some cases, the task has been sloughed off or postponed until “later when we have more time.” In reality, the time before a crisis is the most precious and plentiful asset you have to deal with an eventual and probably inevitable crisis. A nonprofit doesn’t have to worry about an exploding railcar and a railroad doesn’t have to worry about child neglect. That’s why crisis plans need to be anchored to crisis scenarios that an organization might realistically experience. The best way to anticipate relevant crisis scenarios is to identify them through a comprehensive, candid issues audit. Brainstorming about all the bad things that could happen may not seem like a great way to spend part of a day, but it can be a very productive use of your time. Acknowledging your vulnerabilities is the first step toward preserving your time in dealing with them. After you identify your potential crisis scenarios, you should rank them by probability and impact. That enables you to focus on the most likely crisis scenarios with the highest impact. It avoids wasting time expending energy for unlikely and low-impact scenarios. A byproduct of identifying crisis scenarios and sorting them by priority is flagging actions that can mitigate a potential crisis. Making a high-consequence, high-impact vulnerability less likely through proactive action is the greatest time saver of all. When a particular crisis hits, it helps to know where to look for the answers you need. The go-to resources for a financial crisis will be vastly different than for an environmental spill. Who do you turn to internally? Are there external resources that can be tapped? Is there data that is relevant and useful? Knowing who to call and how to reach them can save valuable time and prevent crippling confusion during the first hours of a crisis. Just as you prepare for a natural disaster by stowing away basic necessities, do the same for your crisis moment. Video or infographic explanations of safety and security procedures can be brand-savers if they are ready to go when a crisis occurs. They can be stored on a ghost website that can be activated in a crisis moment. A critical part of the crisis planning process is anticipating what tools you may need in a specific crisis, then developing them so they can be accessed in a flash. Something as simple a B-roll video can be invaluable by giving eager television reporters with a deadline something to use on air in place of what they can salvage off the Internet or from someone’s smartphone. Name somebody as your crisis team leader, so you don’t have to fumble around when a crisis occurs assigning someone the task. A crisis team leader can become the internal advocate for preparing and updating a crisis plan that is relevant and realistic. The crisis team leader’s job description should include learning about crisis response and applying that knowledge to the vulnerabilities and potential crisis scenarios of their organization. They should be ready to step into action when a crisis strikes, saving time through their advance preparation. Outdated contact information is frequent time-wasting toe stub in a crisis. Phone numbers and email addresses change, so you need to update your contact list frequently. The crisis team leader should make sure the contact list is complete, including external numbers such as the local hospital emergency department, emergency response personnel and key contractors. There is no better way to test your crisis plan than to conduct a drill. A dry run will reveal weaknesses and overlooked details in your plan, which can be fixed and save time in an actual crisis. Drills should include, when possible, emergency responders that would be called into an action during a real crisis. In cases involving hazardous substances, you want emergency response personnel to know what they are dealing with – and how to deal with it safely. Fresh eyes can point out problems, such as a shutoff switch located inside instead of outside of a room where hazardous materials are processed. Safety-proofing operations can save time by minimizing potentially catastrophic effects of a crisis. Not all crises require a war room, but a large crisis does. This is the place where actions are coordinated – from addressing the cause of the crisis to fielding calls from affected parties and the news media. The war room should be big enough for the designated crisis team to function there, have Internet access and one or more landlines to handle calls that come through the organization’s phone system. The rise of smartphones and laptops make war room preparation a lot easier, but not entirely foolproof. Think about what you would need and ensure it is available in the war room. Update your planning frequently. For example, Facetime and Skype offer opportunities to give live interviews or feeds without leaving your own desk. Speedy response demands real-time channels of communications. Twitter remains the most reliable way to keep eager and attentive audiences informed. However, you can’t just turn on Twitter. You have to cultivate a following, especially among news reporters and editors so they receive your tweet updates. It is easier to direct new listeners to your Twitter feed if it is established. If you have built a Twitter following, you will understand how the platform works. Utilizing a channel such as Twitter can save time by avoiding having to make one-on-one follow-up contacts or organizing press briefings. The direct message feature of Twitter also allows personalized contact. Whether it’s the crisis team leader or someone else in an organization, including the CEO, make sure they have undergone media training. Effective media training includes learning how to craft and deliver a key message and performing in a simulated interview with reporters. The best media training is customized to an organization’s circumstances and crisis scenarios. Even staff members – and especially the CEO – who may have experience dealing with the media should undergo media training to hone their skills and recognize the tension that can exist in interviews involving a crisis. Conducting media training before a crisis hits is time well preserved. There is a lot of work to do to make sure you are ready for a crisis. None of the work involves dreaming up vanilla-flavored placeholder statements. Use your time wisely to prepare wisely. The time it takes will be the invaluable time you save when a crisis occurs. No one roots for accidents, even though they sometimes can be moments of discovery, such as when a curious engineer walked through a radar test room and noticed something made a chocolate bar melt in his pants. Public affairs professionals should be equally as open to the accidental enlightenment of a melting chocolate bar in their pants. Accidents have a deservedly bad reputation. However, some accidents turn into brilliant discoveries. That’s as true in public affairs as in business. The list of accidental discoveries is impressive – and telling. The microwave oven, super glue, Teflon, Velcro, pacemakers, X-rays and glasses for the color blind. They are the byproducts of experimentation, curiosity, observation, failure and chance. The inventor of the microwave oven made his serendipitous discovery in 1946 when walking through a radar test room and noticed a chocolate bar melting in his pants. Curious, he aimed a magnetron at kernels of corn that popped and an egg that cooked almost instantly. Public affairs professionals should pay attention when an event, message or spokesperson causes a chocolate bar to melt in their pants. Competent public affairs plans rely on credible research that provides a clear window into how a target audience views a topic or project. However, even the most well-conceived plans can have gaps or encounter unanticipated circumstances. Accidents happen. When they do, spend less time freaking out and more time assessing whether the accident revealed useful information or guidance. A big problem with public involvement efforts is the overweening desire to exercise control. As a result, they have more to do with delivering a scripted performance than discovering fresh, unnoticed perspectives. Tightly controlling public engagement may avoid accidents. It also may miss out on accidental knowledge. Take for example a public engagement effort to explain the purpose, dimensions and timeline of a major construction project that will disrupt local businesses, create neighborhood noise and affect school bus routes. A large group meeting, no matter how well orchestrated with explanatory posters, is almost certain to draw criticism – and negative media attention. Seeking out neighborhood leaders in advance to ask them for their ideas on how to mitigate the project’s impact could produce “accidental” ideas, such as creating a new community park as “compensation” for the disruption or maintaining safe zones for school buses and schoolchildren. Yes, ideas like that would up the cost of the project, but they also could cool down the neighborhood outcry. 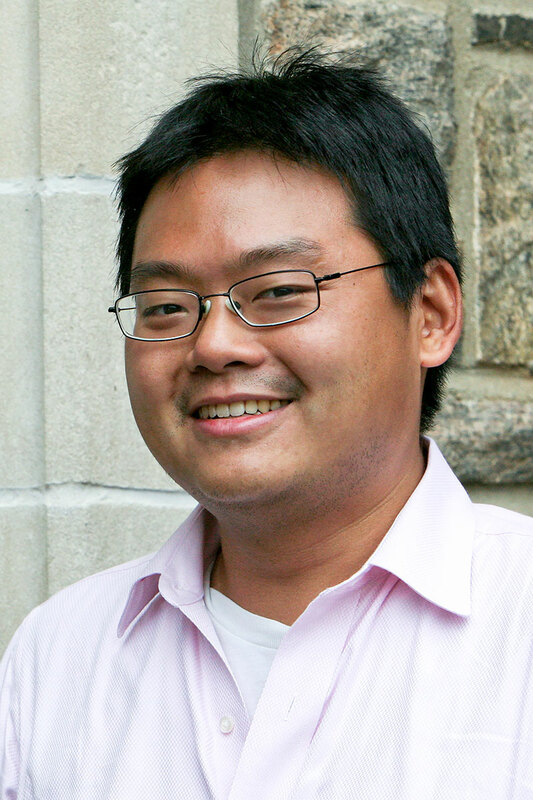 The type of research used to design a public affairs plan can anticipate “accidental” findings. Telephone surveys will produce quantitatively reliable findings. Interactive online engagement, on the other hand, will produce a wider range of comments – some not-so-helpful, a few incredibly insightful and one or two with specific, actionable suggestions. One of the most useful train wrecks in public affairs is to meet face-to-face with critics. Not only is it disarming, such personal contact with what your opposition thinks can bend your own thinking. They may have viewpoints you never considered or give as much weight as they deserved. Such “accidental” discovery early in a public affairs process gives you a distinct advantage in coming up with convincing counter-arguments or modifying your proposal to accommodate opposition concerns. The point: Be open to accidents. They aren’t always failures. They can be eye-popping moments that lead to improved projects, happier neighbors and satisfying consensus. Don’t let that melting chocolate bar in your pants go to waste. The debate still rages over whether leaders are born or made. A more useful debate is over what makes someone a leader, especially a thought leader. We say it takes a powerful idea, the conviction and skill to convey it and the opportunity to express it. Thought leadership requires a powerful idea, the conviction and communication skills to convey it convincingly and the opportunity to express it. Clear thinking and leadership are too often examined separately. However, powerful ideas without effective messengers are wasted energy. Effective messengers without powerful ideas are wasted vessels. Effective messengers of powerful ideas without platforms are wasted opportunities. In her latest book, “Leadership in Turbulent Times,” Doris Kearns Goodwin traces the paths to greatness of Abraham Lincoln, Teddy Roosevelt, Franklin Roosevelt and Lyndon Johnson. All four yearned deeply for greatness and displayed strong leadership traits at an early age. However, they didn’t become great until they found their issue and pursued it with conviction, skill and resolve. For Lincoln, that issue was the extension of slavery. Almost everybody is familiar with Lincoln’s story, but it is often forgotten that he spent the decade before his election in 1860 as president in a political wilderness. Lincoln devoted himself to his law practice by day and to deepening his knowledge about philosophy, science and math by night. It was the equivalent of a self-taught graduate course on everything. Sensing the nation was lurching toward a crisis on the issue of extending slavery into newly minted western states, Lincoln plunged into the subject, including reading every commentary on slavery written by the men who framed the US Constitution. While riding circuit in central Illinois, Lincoln quietly became the leading US expert on the subject of the legal footing of slavery in America. Lincoln’s views on slavery changed markedly from when he served one largely undistinguished term in Congress. 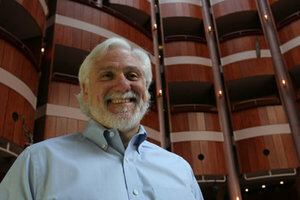 The change came after a “long period of work, creative introspection, research and grinding thought,” according to Goodwin. Mastery of a subject, as Goodwin points out, is critical to leadership. “What is well-spoken must be well-thought,” she writes. Clear thinking is the product of hard work. “Without that labor, without that drudgery, the most eloquent words lack gravity and power.” His late-night homework enabled him to formulate a policy that would prevent the extension of slavery, while allowing it to remain in the Old South. Articulating that view from essentially the point of view of the Founding Fathers was striking for its originality and authenticity. A key to Lincoln’s success in advancing this point of view was “his uncanny ability to break down the most complex case or issue into its simplest elements,” Goodwin explains. He honed this skill as a trial lawyer who reduced complicated legal matters to language and concepts that could be conveyed in an intimate conversation with jurors. Lincoln made jurors feel as if they were trying a case, not him. Another Lincoln trait was simplicity of expression. “His language was composed of plain Anglo-Saxon words and almost always without adornment,” Goodwin says. Lincoln also was an unequaled storyteller, whose captivating tales established rapport with listeners while delivering profound messages in easy-to-grasp punchlines. Lincoln’s creativity, knowledge, conviction and ability to communicate would have gone for naught without a platform. He found one in debates with his Illinois arch-nemesis, Stephen Douglas. Public debates were the social media and cable news shows of Lincoln’s day. Even though Lincoln didn’t win a seat in the US Senate, his taking points altered the national debate on the extension of slavery – and arguably the course of US history. Goodwin’s book traces leadership and crisis through American history – a Civil War, stifling monopolies and corruption, the Great Recession and civil rights. But her implied intent in the book is to force a deeper evaluation of where leaders come from and the traits that leaders share. Thought leaders don’t have to be point persons on events of historical proportion. They can be people who foster greater understanding of perplexing social, economic or technological problems – and the people who provide potential solutions. Through subject mastery and elegant, authentic expression, thought leaders can communicate complicated subjects and move the needle on public awareness and support for a point of view. Thought leaders must have the conviction of their views, the ambitious drive to share their views and the resiliency to withstand criticism for their views. Thought leaders are the people in the public arena described by Teddy Roosevelt. They are out there, willing to endure wounds for what they believe in the service of bringing clarity or fresh perspective to a serious subject. Bill Gates explains his idea for a clean energy “moonshot” in an extended video op-ed posted online by The New York Times. Video op-eds are emerging as one of the best ways to convey an unfiltered message that people will view and share. Video op-eds may be an idea whose time has come. Op-eds are a tried-and-true way to convey an unfiltered message in news columns. However, with shrinking editorial pages and newspaper readership, the op-ed has diminished in value. Getting an op-ed published is still valuable, but mostly as a source of solid content to share on social media. If social media is the ultimate target for an op-ed, then social media rules should apply. The number one social media rule to obey is video gains more eyeball contact than text. For traditionalists, this trend may appear as an aggravation. It’s actually an opportunity. Op-eds published in newspapers or other print outlets are one dimensional. There is a catchy headline and 500 words to make your point. In a video op-ed, there are many more flexible options. In its simplest form, a video op-ed can consist of the op-ed writer voicing what he or she wrote. This allows a viewer to see the person speaking and observe their expressions and body language. It permits a speaker to establish a “face-to-face” rapport with an audience and inject appropriate emotion into his or her content. A video op-ed can capture two or three people discussing a topic, offering a mix of perspectives or even contrary points of view. A carefully edited give-and-take can be very informative, quick-paced – and highly shareable. 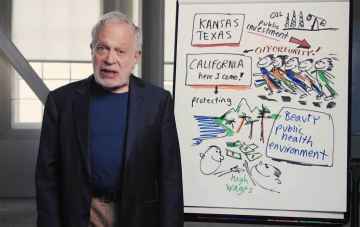 Robert Reich has become a social media mainstay with his illustrated political commentaries that feature him talking to his audience while using a sharpie in the background to show his point. Adding presentational elements to a video op-ed can be entertaining as well as informational. Robert Reich, the former Cabinet officer-turned political commentator, uses sharpies to make drawings that punctuate his commentaries. Specifically designed for social media, Reich talks over sped-up imagery of him creating his engaging illustrations. The sketches reinforce his words, making it more likely viewers will get – and retain – his point. The Washington Post employs video op-eds in a wide range of forms to discuss topics such as “Grand Juries 101,” why gerrymandering could be okay if done better, a Thanksgiving message from Teddy Roosevelt and a remembrance of columnist Charles Krauthammer. The WaPo op-eds take advantage of film clips, illustrations, charts and anything visual to grab eyeballs and stimulate thought. The video op-eds live on the publication’s online newsroom, providing evergreen content that can continuously draw clicks. The New York Times has created an online channel for wide-ranging video op-ed contributions. Samples include Robert Redford expressing opposition to the Keystone Pipeline, Bill Gates discussing a clean energy “moonshot” and a video essay contrasting Siri with a human assistant. The video op-eds can be as short as 90 seconds up to more than six minutes in the Gates’ contribution. In-house video production is no longer a pipe dream. Credible high-definition video can be shot with a smartphone. Video op-eds don’t represent any greater technical challenge than explanatory or training videos. Previous Rules of Engagement blogs have offered tips on how to conceive and execute quality video content. Like any other type of video, video op-eds require producers to zero in on the point they want to make, then think expansively about how to show it. Drop all inhibitions and let your imagination go to work. Seek professional help, if needed, to carry out your dream plan. Public affairs can be a stodgy, change-resistant wing of public relations. If you want to reach target audiences and be relevant, contemporary tactics are essential, including video op-eds. Experiment to get your creative sea legs, but don’t hesitate to take the plunge. Public affairs professionals are specialty marketers who master, explain and advocate for ideas, major projects or innovative initiatives and ride to the rescue in times of crisis. They are who to call when you face a communications challenge involving any kind of a public issue. We have been asked more than once what public affairs involves. Our best answer is a communications challenge that occurs in the shadow of a public issue. Public issues can loom over marketing, media relations or crisis communications. Public affairs to address a public issue can take the form of strategic communications, marketing plans, crisis counsel or advocacy – and often involves some combination. Public affairs professionals, at least the ones who know what they’re doing, typically have experience in the public sector or dealing with the public sector, such as a reporter who covers government or the courts. One way or another, they have the scars and skills earned through managing – or muddling through – a public issue. At its core, public affairs is like any other form of marketing. You need to understand your audience, condense your message and tell your story with effect, whether in writing or orally and whether you have 30 minutes or 30 seconds. That’s why knowledgeable public affairs professionals know the value of research and have a working knowledge of what type of research matches specific challenges. Some public affairs professionals are attorneys, but all good public affairs professionals have a solid working understanding of the law, legal procedures and judicial language. Public affairs professionals frequently work side by side with attorneys because their respective disciplines overlap. Sometimes the best solution to a public issue is legal; other times it requires changing a law or regulation. It is fairly easy to grasp that public affairs involves managing a public issue through direct engagement (open houses, town meetings, door-to-door visits), media outreach (press releases, op-eds, white papers) and social media (explanatory videos, infographics, charts). It is less obvious that public affairs centers on reframing or clarifying a complex, contentious public issue. The ability to reframe a contentious issue and clarify a complex one is what sets apart a skilled public affairs professional from someone who simply has ‘public affairs’ on their business card. Another overlooked attribute of a skilled public affairs professional is the ability to anticipate a public issue and the arc of its evolution. Managers and clients would be wise to listen to warnings from public affairs professionals and their recommendations on how to ward off an impending public issue or at least mitigate its dire consequences. Public affairs professionals are an important part of any team attempting to advance a major project, respond to a crisis, engage the public on a significant initiative or pass legislation. Public affairs professionals know the lay of the land, media contacts and elected officials and their staffs. Chances are good that an experienced public affairs professional has worked on a similar project or faced an analogous challenge and, as a result, can add valuable perspective of what to do – and not to do. Effective public affairs depends on who you know and what you know. Experienced public affairs professionals have a lifetime of contacts they can tap for information or attempt to influence. They have watched the wheels of government grind away, followed the footsteps of men and women on planning commissions up to congressional committees and synthesized confusing events into 10 to 12 revealing paragraphs. They have a vertical understanding of public issues that enables them to see the depth of an issue and know where to dig for a solution. Of course, knowledge has a shelf life. People move on from government, newspaper and nonprofit jobs, so connections need to be refreshed continuously. Communication techniques and channels morph and change. Almost every communications plan worth its salt these days includes a website, social media and video content. As recently as a decade ago, that wasn’t so. Processes and practices evolve, too. The days of building rapport by taking someone to a professional sporting event or a pricey dinner have ended in the public affairs space, thanks to stricter ethics laws and reporting requirements. Public affairs professionals have adapted by pursuing other ways to build and maintain relationships. Integrity matters more than ever. One thing hasn’t changed. Public affairs remains a roll-up-your-sleeves, hands-on form of communication. Personal contact, authenticity and compelling presentations are still what makes public affairs effective. Knowing what you’re doing is important, too. Bomb threats aimed at political leaders and a mass shooting at a synagogue have left the nation stunned once again and in desperate need of some wisdom. What better source than Mister Rogers. This is a day in the neighborhood when we could use some wisdom from Fred Rogers, who grew up a few blocks away from the Pittsburgh synagogue that was the scene of the latest American mass shooting. Here is a sampler of Mr. Rogers’ gentle wisdom assembled by Chris Higgins. “As human beings, our job in life is to help people realize how rare and valuable each one of us really is, that each of us has something that no one else has – or ever will have – something inside that is unique to all time. It's our job to encourage each other to discover that uniqueness and to provide ways of developing its expression." “Fame is a four-letter word; and like tape or zoom or face or pain or life or love, what ultimately matters is what we do with it. I feel that those of us in television are chosen to be servants. It doesn't matter what our particular job, we are chosen to help meet the deeper needs of those who watch and listen – day and night! Well, life isn't cheap. It's the greatest mystery of any millennium, and television needs to do all it can to broadcast that ... to show and tell what the good in life is all about. But how do we make goodness attractive? By doing whatever we can do to bring courage to those whose lives move near our own--by treating our 'neighbor' at least as well as we treat ourselves and allowing that to inform everything that we produce. Who in your life has been such a servant to you...who has helped you love the good that grows within you? Let's just take 10 seconds to think of some of those people who have loved us and wanted what was best for us in life – those who have encouraged us to become who we are tonight – just 10 seconds of silence. No matter where they are – either here or in heaven – imagine how pleased those people must be to know that you thought of them right now. We all have only one life to live on earth. And through television, we have the choice of encouraging others to demean this life or to cherish it in creative, imaginative ways." There is no better way to draw your audience closer to you and deliver your message than with strong, authentic gestures. There is no better way to drive away your audience and have your message fall flat than with weak, annoying gestures. If you want to make a point in a speech or presentation, your gestures can help – or hurt. Gestures can reinforce your message or distract your audience. Gestures can convey emotions or project a lack of confidence. While most gestures are spontaneous, effective speakers and presenters devote time to eliminating gestures that may be naturally counterproductive. For male speakers, it can be sticking their hands in their pockets. For female speakers, it can be swaying as they talk with their hands behind their backs. Like words, gestures have meaning. There may not be a gesture dictionary, but people know their definitions. Crossed arms signals defensiveness. Hands on hips connotes condescension. Hands in pockets betrays nervousness. Hands crossed in front suggests timidity. Thumbs up shows agreement. A fist warns of anger. When you consider that people listening to a speech or presentation remember 80 percent of what they see and only 20 percent of what they hear, gestures take on greater significance. Your words might be brilliant, but your gestures can cause an audience to start looking at their smartphones. Media training can help. Media training can help you with your words, while also making you aware of annoying gestures and off-putting verbal tics. There is nothing as chastening as watching yourself speaking and gesturing on video. Unless you are a total narcissist, you will become your harshest critic. Self-criticism must be harnessed into purposeful practice to get rid of annoying gestures and focus instead on gestures that connect you with your audience and reinforce your message. Be like successful athletes and train your body to perform smoothly and effortlessly. Develop a lean style with movements that matter. You can learn a lot by practicing in front of a full-length mirror. It’s just you and your reflection. No pressure. You should emulate stand-up comedians who take their routines on the road, testing gags in front of real audiences. (Telling jokes into a mirror never produces any laughs.) Practice your speech in front of friends, family or coworkers. Encourage them to be candid, telling you what you did well and not so well. Ask them to comment specifically on your gestures. For major speeches, presentations or a TED Talk, consider hiring a media trainer or speech coach. Give yourself enough time before appearing on stage to make adjustments and practice. Because gesturing is a normal human behavior, be conscious of your body language in everyday circumstances. Self-awareness is the first step to improving the physical dimension of your communication. You can practice your moves at low-pressure social events and family gatherings. Gestures tend to reflect inner thoughts and fears. You may need to practice some psychology on yourself to disguise nerves, control angry outbursts, avoid giddy laughter and stop flailing your arms. Study powerful speakers in person, on television or in church, making special note of how they use their hands, how they stand and how they establish and maintain rapport with their audience. Remember, there is no one-size-fits-all set of gestures. Your gestures need to be authentically yours. Whether tall or short, old or young, use your assets to their greatest advantage. And, don’t forget, the most endearing gesture you can make is to smile. You don’t need a coach to practice smiling. You don’t need media training to know a smile can delight an audience better than anything else. We only see a fraction of the internet. Hidden in the Deep Web are provocateurs and misery merchants that can disrupt a campaign with false information or punish a brand with weaponized memes. The underbelly of the internet is a puzzling and poisonous place, where illicit drugs are sold and malicious misinformation is peddled. Fake news and incendiary memes launched from the deep web can bedevil consumer brands as easily as political campaigns. Traditional communication responses to social media laced with lies is a lot bringing a fingernail clipper to a knife fight. New techniques are needed to fight back. Online provocateurs like to newsjack high-profile events to use as conduits for misinformation or an excuse to bash a brand. Within 48 hours after Nike launched its campaign featuring Colin Kaepernick, “racially charged memes” appeared on 4Chan and later gravitated to Facebook. A favorite technique of Deep Web denizens is to make up controversies, such as falsely linking the 5G network to cancer and vaccines to birth defects. Edelman says active brands aren’t able to avoid controversy involving political, social or cultural issues. They don’t need to step out into the conversation; the conversation can find them through the Deep Web. While this may seem like a problem affecting only big brands, it isn’t. Much misinformation is transmitted in words, but the ability to show out-of-context or doctored video is quickly evolving. What people see in picture or video can quickly transmogrify into mischievous misinformation. With virtually everyone possessing a smartphone, the threat extends well beyond the Nikes and Starbucks of the world. 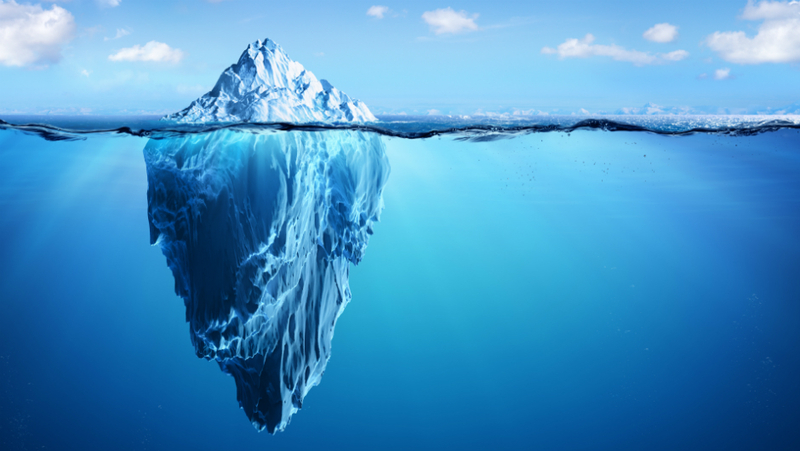 A new dimension of social media engagement may be social media intelligence gathering so you know when a tsunami from the Deep Web is headed your way and you still have some time to react.